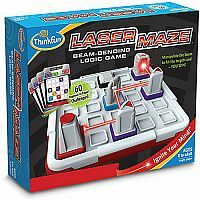 The Thinkfun Laser Maze, the beam-bending logic game, has lights and mirrors that may feel like magic, but it's really science and brain power. 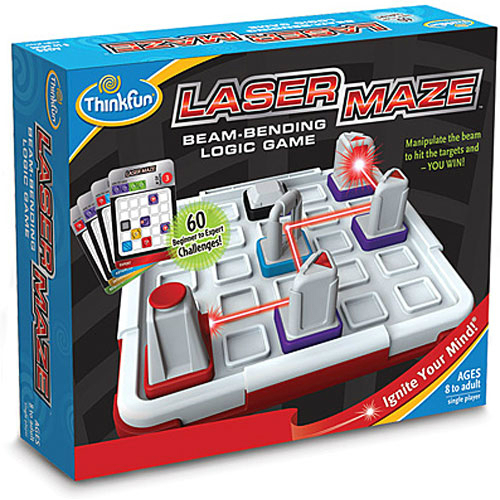 Use both to direct the laser beam to solve 60 mind challenging mazes. 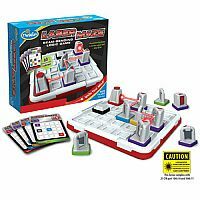 Select a challenge card and place the tokens on the grid. 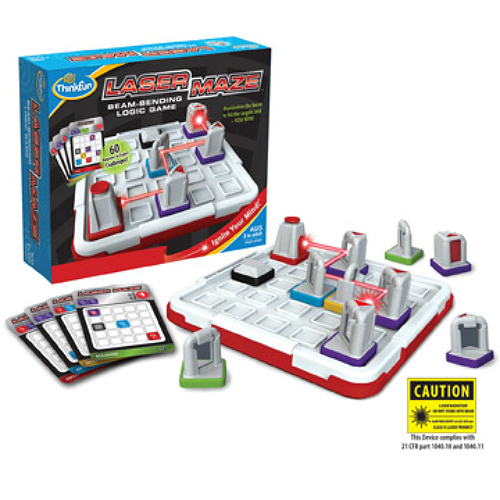 Your goal is to determine where to add the indicated tokens to the grid so that the laser hits the targets. 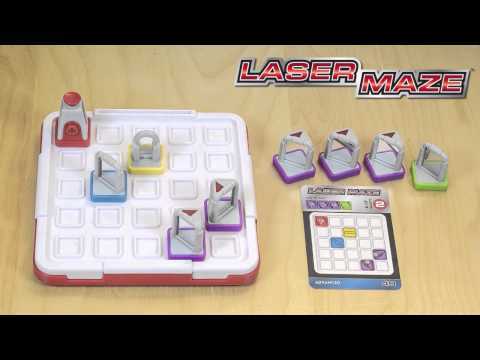 The puzzle challenges have 4 levels - Beginner to Expert. American Mensa, Good Housekeeping, and Parents' Choice Awards. For 1 player. Measures approximately: 10.75 x 9.25 x 2.50 inches..